We are delighted to announce that recent School of Politics and International Relations graduate Zoe Kemp is the winner of the Tomlinson 2015/16 BA dissertation prize for the best dissertation on Asia. Congratulations Zoe! The award will be presented at the Tomlinson 2016/17 Annual Lecture. Below we have reproduced with permission a blog post written by Zoe where she summarises her dissertation. Neoliberalism has faced intense scrutiny over the years from Trade Unionists and Marxists alike for its exploitation of workers and insistence of an economic ‘trickle down’ effect that has yet to materialise. When you look closer, however, another troubling aspect of this industry emerges. Again and again, it seems to be women who are left behind by this system. In many countries in the global South, women are drawn into employment in the lowest paid and most undervalued work in the global economy at the end of Global Commodity Chains in the manufacturing, fresh produce and garment industries. This information alone is extremely troubling, as is the fact that the experiences of these women are repeatedly ignored and undervalued. Not only this, but these experiences, once listened to, are crucial in forming a full image of neoliberal globalisation from the people who are most affected by it. The ‘feminist standpoint’ approach to understanding neoliberal globalisation therefore acknowledges that we must start from the knowledge of the most unprivileged social groups in order to uncover the truth, and that this claim tends to be strongest where these experiences intersect, particularly strong amongst poor women in the global South, disadvantaged by their gender, geographical location, class and often their race. Looking at neoliberal globalisation from the standpoint of these women, therefore, reveals a dark insight into the extent of neoliberalism’s exploitative tendencies, and the ways in which neoliberal globalisation is interlinked with gender inequalities (Mohanty 2003: 144). 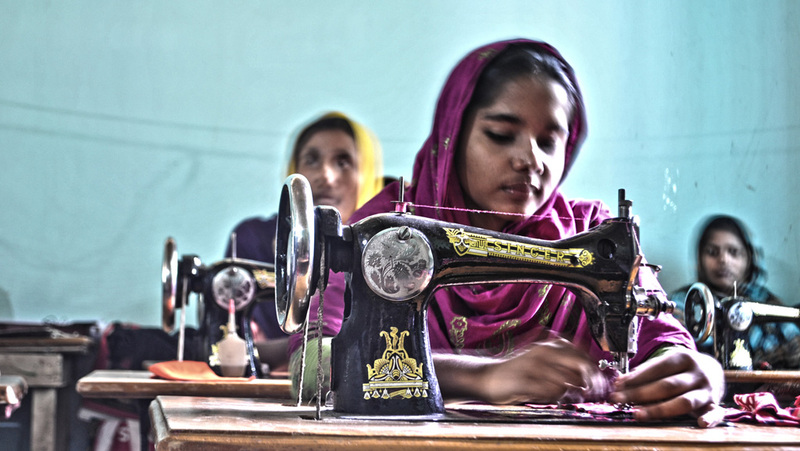 Nowhere is this more evident than in the garment industry of Bangladesh, an industry cited by many as demonstrative of the “success” of neoliberalism through its fast growth and increased employment opportunities for women (Rhee 1990: 333). Today, the garment industry in Bangladesh is enormous, accounting for 80% of the country’s total exports and employing over three million people, 85% of which are women (Alam et al 2011: 2). Initially, it would seem that this is a good thing, especially considering the number of initiatives in the UK and elsewhere to increase the number of women in the workplace. And it is true that to an extent, the opportunity for employment has brought many women in Bangladesh a degree of economic independence and personal empowerment not otherwise available. Nevertheless, through actually listening to these women, it soon becomes clear that the benefits that many women experience through these jobs are being offset by intense exploitation and the denial of the full fruits of their labour. This exploitation presents itself in multiple ways. To start with, the majority of women work without a contract, and for those with a contract, they are usually short-term or temporary (Oxfam 2004: 5). Women workers are seen as expendable by their employers; easily replaced by a cohort of women ‘desperate’ for work no matter how insecure it may be. Not only is this exploitative in its own right, but it also severely limits women’s abilities to fight harassment or campaign for better conditions in the workplace out of fear that any protest will lead to their losing their job. Women’s abilities to negotiate for higher wages is also extremely limited, and most are paid far below what Bangladeshi trade unionists calculate to be a ‘living wage’, with the minimum wage in 2010 being the equivalent of a meagre £25 a month, compared to the £42 living wage advocated by trade unionists (Alam et al 2011: 4). To add to this, many workers are under immense pressure to work long hours and frequent overtime, for which they are regularly underpaid, with one women describing how she and others work until 9 or 10pm most evenings, and sometimes until 3 or 6 in the morning to meet deadlines, while still being expected to be back at work by 8am to start the next day’s work (Akhter, cited in Fairclough 2013). At work, conditions are often substandard, with factories described as overcrowded, poorly ventilated and with atrocious health and safety standards, exemplified by the disastrous collapse of the Rana Plaza building in Dhaka in 2013 which killed over 1,100 of the 5000 mostly female workers who worked in the garment factories inside. The majority of women workers have faced some form of violence or harassment at work, with many describing how this treatment has often come to be used as a tactic against them to prevent trade union organisation (Hurley 2005: 126). This is enabled by the fact that women are concentrated in the lowest paid rungs of garment production, while it is men who make up the majority of the ownership, management and administration roles, and who therefore continue to benefit at the expense of women workers. So what is it about the neoliberal structure of global production that has led to these effects? In short, it comes down to the very nature of neoliberalism as an economic model. As a system that prioritises the free market and overall economic growth, the power of global brands and multinational retailers has been hugely strengthened, as they are now able to potentially source their productions from a wide selection of countries and producers. Thus, they push costs and risks down the supply chain as factories are forced to accept lower prices for their labour as a result of the increased competition. Retailers and factory owners are therefore compelled to employ a labour-force for the lowest wages and highest productivity levels that they possibly can in order to maximise their own profits. From the global North to the global South, women are still seen as holding a secondary status in the labour market thanks to the male breadwinner/female homemaker definition of gender that has tended to dominate traditional gender roles. Women are therefore almost automatically thought to require less income than men as well as less stable work, as anything that they earn is regarded as extra support, especially in patrilineal societies such as Bangladesh, where women are expected to be economically dependent on men. It is this that is exploited by multinational employers in their assumption that they can keep wages low, productivity high and factory conditions poor by employing women rather than men. Job opportunities for women in countries such as Bangladesh are often extremely limited. This combined with an often urgent need for income can force many women to accept work in the garment industry or other manufacturing sectors in less than acceptable conditions. Neoliberalism and the patriarchy are inexplicably linked, with neoliberalism guilty of incorporating and reinforcing the social inequalities faced by women in their daily lives in order to further exploit them as a workforce. The cycle becomes self-fulfilling, perpetuated by neoliberal dimensions, whereby women are thought of as requiring lower pay than men, global supply chains setting wages accordingly, and women therefore having no better options than to accept these conditions. Consequently, neoliberal policies and practices have a considerable, and harmful, effect on the lives of women in developing countries. Whilst these inequalities may originate elsewhere, the demand for cheap labour created by neoliberal globalisation takes advantage of these social dimensions and creates an environment where these inequalities are not challenged, but are instead recreated and reinforced in multinational factories (Lim 2003: 227). So yes, there are more women in work in the global South thanks to neoliberal globalisation than before, but at what price? Under neoliberal globalisation, overall profit is the benchmark for success while the experiences of workers, particularly women, are considered of lesser importance, and exploitation is consequently justified so long as it generates economic growth for the men who own the means of production. Transnational corporations and local producers are able to maximise their own profits and competitiveness by pushing the costs onto their female workforces, taking advantage of their vulnerable positions in society and limiting their ability to challenge exploitation. We cannot continue to ignore the voices and experiences of women in the global South. A neoliberal model that does not sufficiently value the lives and interests of its most vulnerable groups is not sustainable, despite the benefits that it may bring to those at the top of the chain. The international community needs to listen to these women, and make the changes that will help them, not hurt them. Zoe’s article was originally published on Professor Andreas Bieler’s blog here. Image credit: Wikipedia Commons.